This January, there’s a new heroine on the block – and the Marvel Universe will never be the same. Prepare yourself for an all-new adventure starring the nuttiest super hero in the world in THE UNBEATABLE SQUIRREL GIRL #1, a new ongoing series from Eisner Award-winning writer Ryan North (Original Sins, Adventure Time) and rising star Erica Henderson! Wolverine, Dr. Doom, Deadpool, Thanos. What do they have in common? 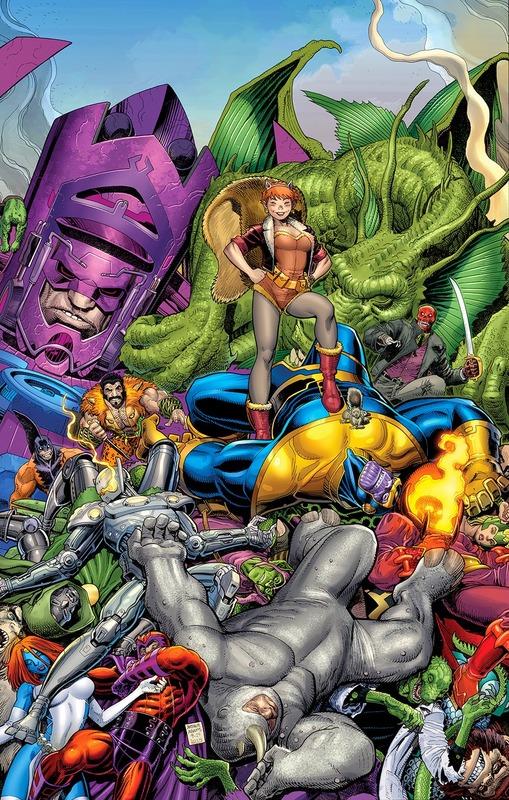 Squirrel Girl has beaten them all! True story. She may not be the most popular hero. She may not even be known by most of the general public. But she loves being Squirrel Girl, loves helping people, and even though they don’t know it, she’s saved the world more times than she can count. But now she faces an enemy unlike any she’s ever faced before – college! 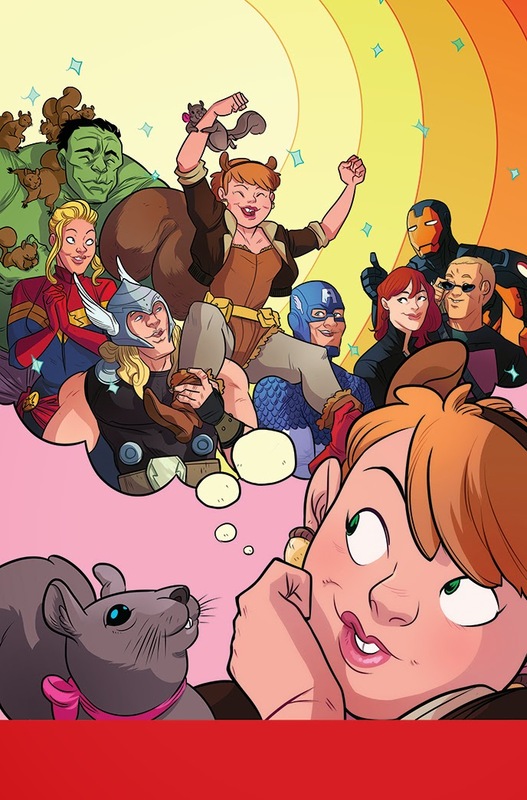 With her steadfast squirrel sidekick and best friend Tippy-Toe at her side, Squirrel Girl’s misadventures in higher education will take her all across the Marvel Universe, and put the greatest of the Great Lakes Avengers up against some of the deadliest foes in the Marvel Universe, including Galactus, Whiplash and more! She’s happy, she can’t be defeated and she’ll unleash an army of squirrels on you before you can blink. She’s THE UNBEATABLE SQUIRREL GIRL – and she’s coming to comic shops and digital devices everywhere in January 2015! Isn't it great when big business has a sense of humor? If you love Halloween as much as Ford does, then maybe you're looking to scare and entertain your friends too. The Michigan Film Office announced today that Onu was approved for a digital media incentive and the television series Craftsman’s Legacy also received a film incentive. “These projects highlight the diverse range of projects that are being driven by talent right here in Michigan,” said Margaret O’Riley, director of the Michigan Film Office. Onu is an interactive website and cloud-based platform being developed by Southfield-based PIXO Group that will allow users to upload their existing content (3D models, videos, images and links) to create single, unique interactive maps. The end result may be utilized for entertainment, showcasing video game models and interacting with existing models. The project was awarded an incentive of $413,701 on $1,206,724 of projected in-state expenditures. The project expects to hire 10 Michigan workers with a full time equivalent of 20 jobs. A Craftsman’s Legacy was awarded an incentive of $102,414 on $345,652 of projected in-state expenditures. The project expected to hire nine Michigan workers with a full time equivalent of three jobs. The show follows Michigan native Eric Gorges on his quest to discover true craftsmen in today’s world. Each episode explains the history of an old world craft and its importance in the building of America. Episodes are airing at 11:30 a.m. on Saturdays on Detroit Public Television. Both projects fall under Fiscal Year 2014, with 21 projects being awarded $60,599,163 on $232,985,495 of approved production expenditures for the year. These projects are expected to create 1,704 hires with a full time equivalent of 1,249 jobs. *Editor's Note, this is a republished release from the Michigan Economic Development Corporation.